Do you have wanderlust? 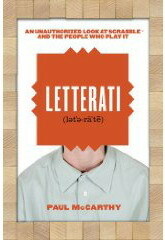 An itch for SCRABBLE® on a business or convention trip? Just eager to see who'd link to here? Crossword Games Pro - Scrabble trash-talking, game analysis, and other topics on this mailing list. Internet SCRABBLE® Club - The best place to play scrabble online. Steven Alexander's Scrabble FAQs - Lots of helpful info and links. Check out our Study Tools Page for more tools and links. Mike Wolfberg's Lists - Lots of OWL2 word lists, with definitions, hooks, etc. Seattle clubmember George Bissonnette has been making deluxe folding boards for several years now. Adjudicator - (Gene T) Clocks, boards, racks, etc. SamTimer - (Sam K) Clocks, boards, racks, etc. There are lots of different score sheets available, yet some folks get by using just a blank piece of paper. If you want to track tiles or record your racks, having a pre-printed score sheet is a big help. Experiment with different ones, pick one you like, or design your own. Whichever you choose--once you've become accustomed to one design you should see your game improve because tracking and scoring will become second nature. Links to this and other local club, word list, SCRABBLE® sites. 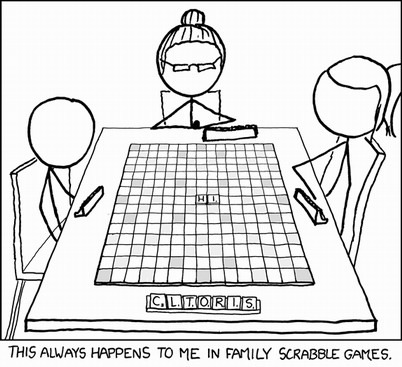 See also: News Page for links to articles about Scrabble, players, etc. [movie] Scrabylon - award-winning documentary on "the cutthroat world of tournament SCRABBLE®"
[movie] Word Wars - Emmy-nominated documentary "Tiles and Tribulations on the SCRABBLE® circuit"
[book] Letterati: An Unauthorized Look at SCRABBLE and the People Who Play It by Paul McCarthy, is a very interesting look into the history of tournament Scrabble®. The following links are not specific to SCRABBLE, but are of interest to those who like words.